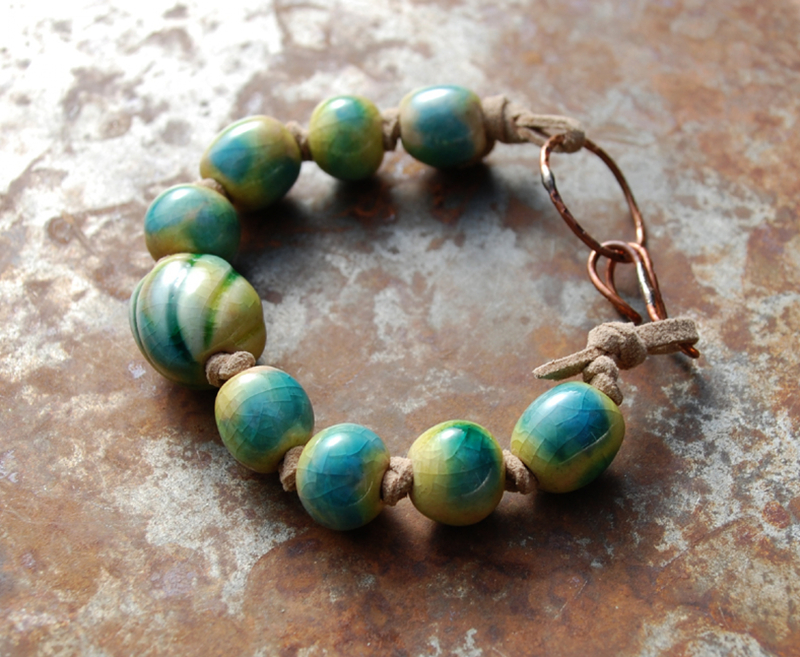 This earth and ocean tone bracelet includes handmade ceramic beads and a handmade copper clasp. 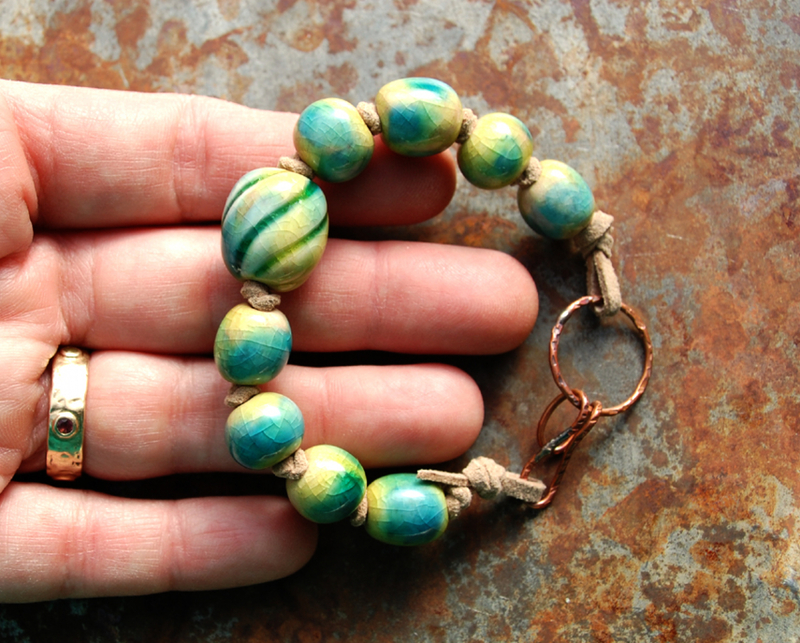 This original design has a total length is just over 8 1/8" long. 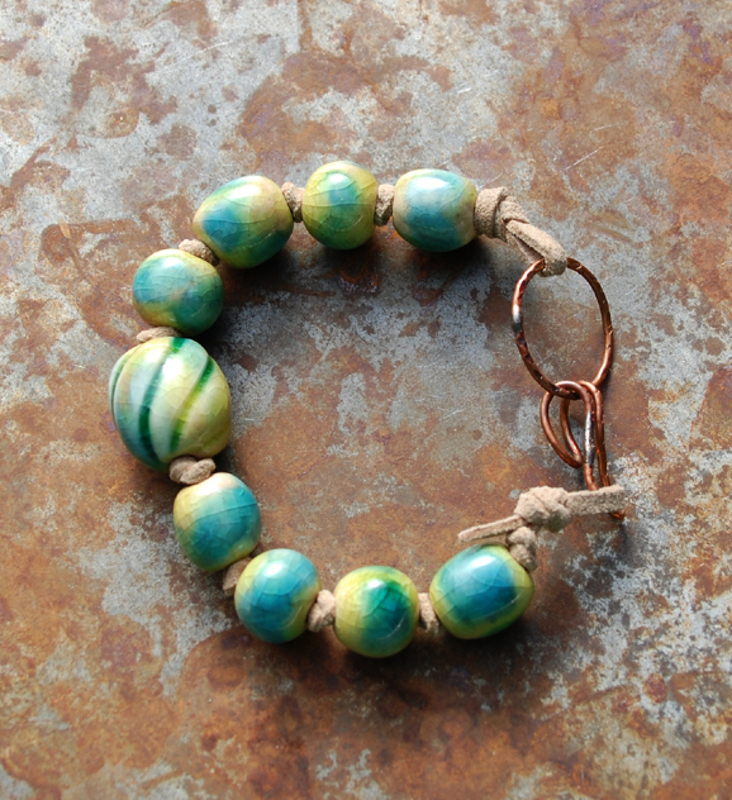 This listing is for the bracelet shown but it may be custom ordered in other colors and may take about 3 weeks to complete. Gaea handmade pendants are high fired to almost 2200 degrees to make them beautiful and durable.